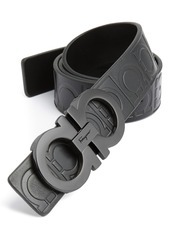 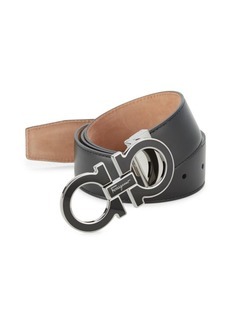 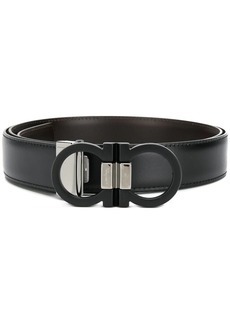 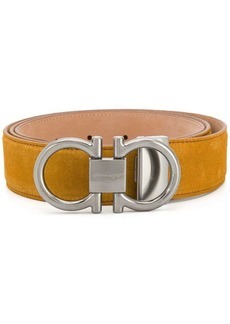 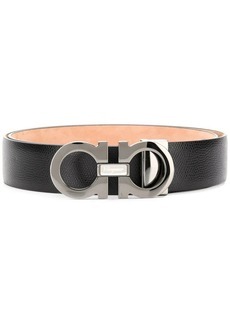 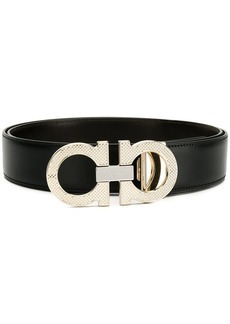 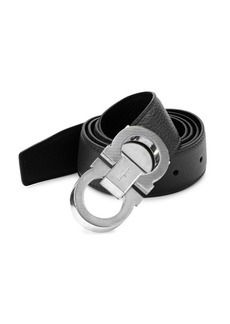 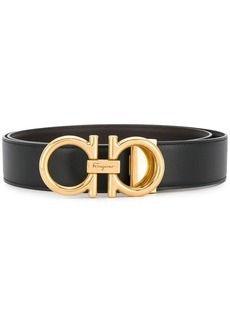 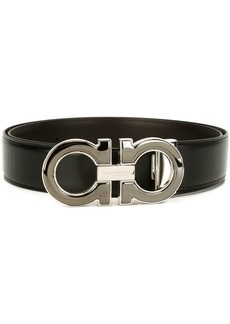 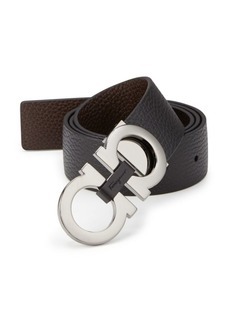 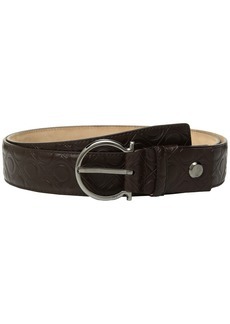 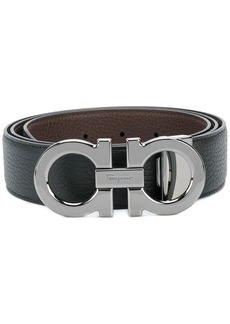 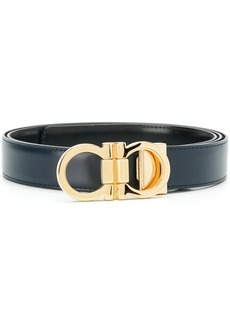 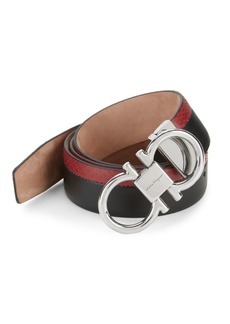 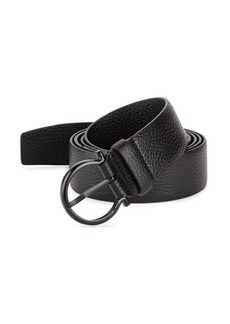 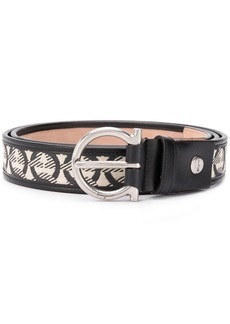 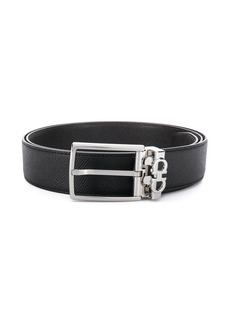 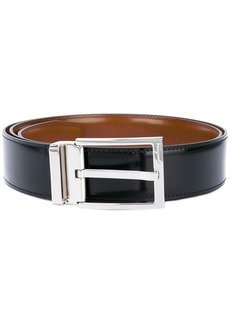 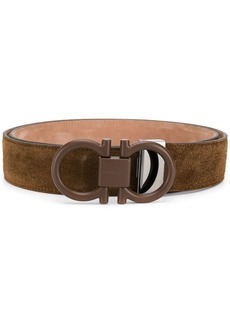 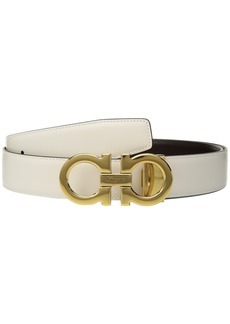 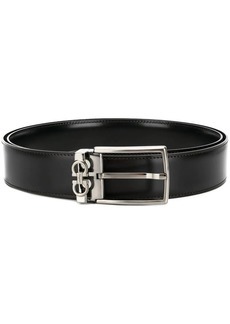 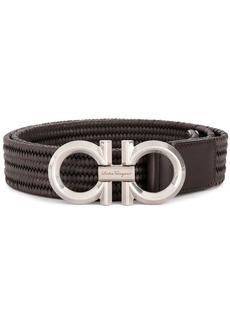 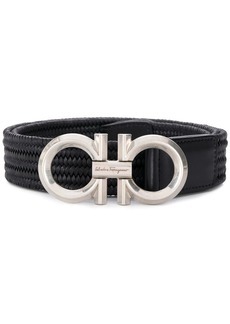 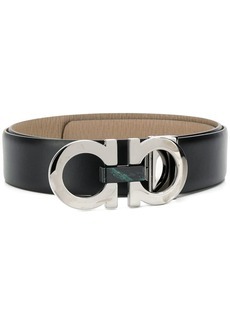 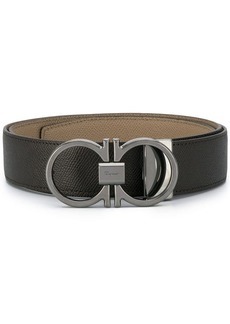 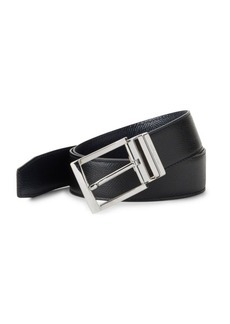 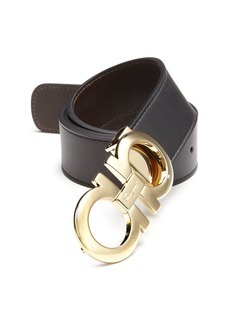 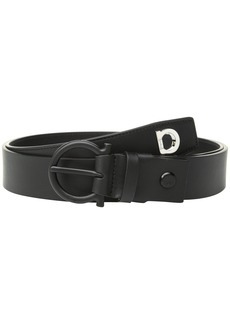 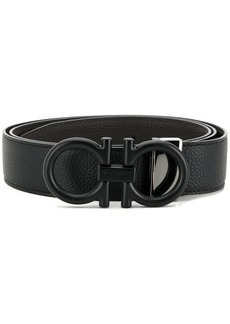 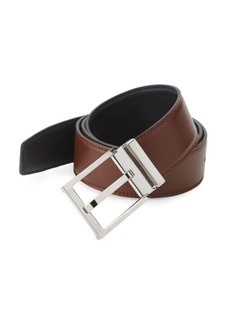 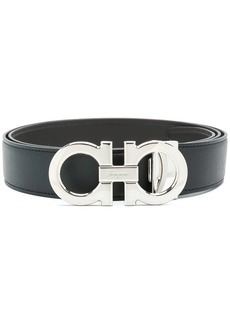 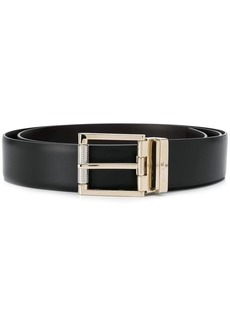 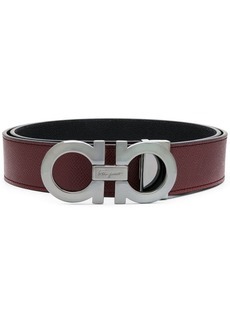 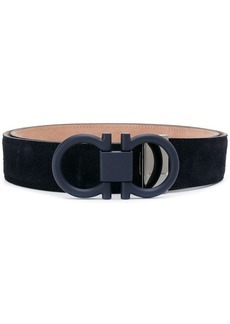 An embossed Gancini print lends understated style to a smooth calfskin belt finished with a signature logo buckle. 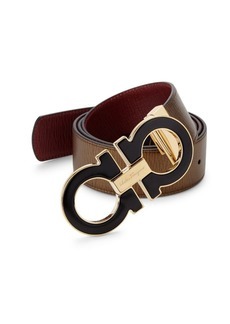 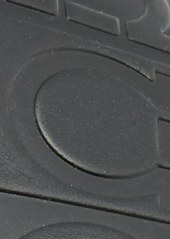 2" x 4" belt buckle; 1 1/2" belt width. 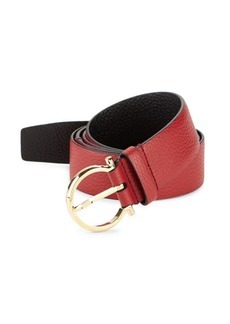 Calfskin leather. 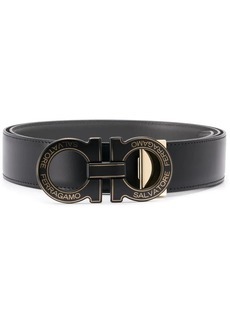 By Salvatore Ferragamo; made in Italy. 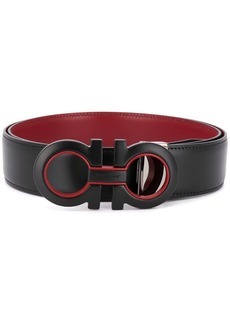 Men's Furnishings.